For many years, Once Brewed has housed a Northumberland National Park centre – an important contact point for the rural community, together with the main visitor centre for Hadrian’s Wall and a YHA Youth Hostel. In the last decade, with the establishment of the Hadrian’s Wall national trail and cycle path, annual visitors have increased to over a million people from all over the world, and there is an urgent need for facilities for visitors and educational groups. 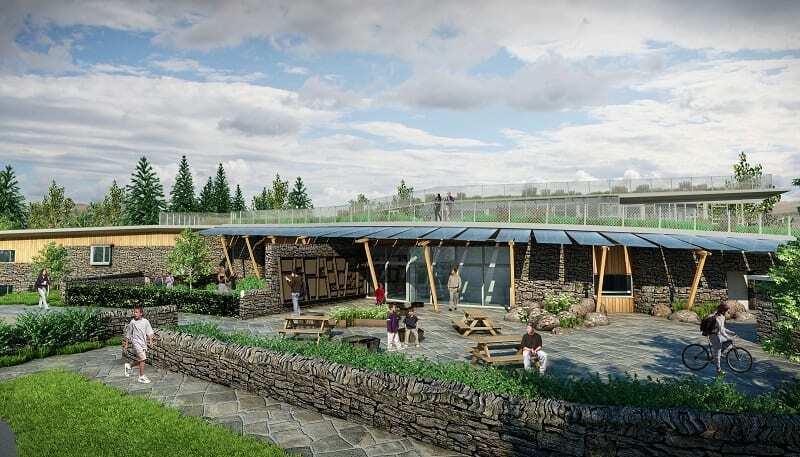 The new centre’s facilities will be an exemplar of environmentally-sensitive development in a protected area, providing a world-class visitor experience and a new and flexible space for a range of needs. The Sill will provide exciting new opportunities for local enterprises, educators, research institutes, young people, volunteers and visitors. The National Park Authority and the YHA are keen to involve people throughout the development and design process and will shortly begin a programme to involve the wider community in helping to inform and shape proposals. Further information can be obtained from www.northumberlandnationalpark.org.uk, email [email protected] or telephone: 01434 605555.